Updated (mostly) weekly: Comics, 3D art, and other cool stuff from the geek-o-sphere! I was pulling links from my blog today so I could send them to a game developer looking for an artist for an upcoming project, and I just realized that I had not actually posted the final cover to the Collectors' Club Newsletter that I was working on earlier this year. 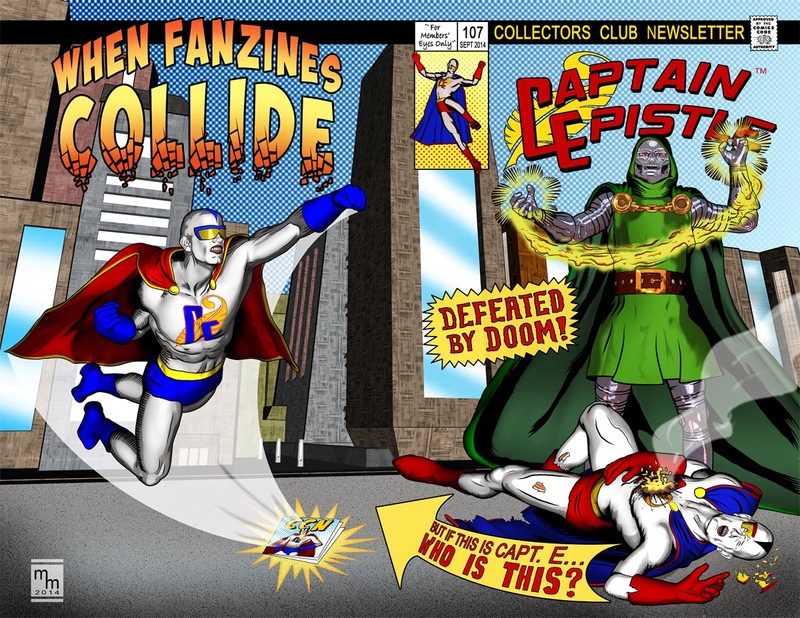 As you can see, this is a wraparound cover -- the reader will see the scene on the front, then open it up to see the picture of the "Earth-2" Captain Epistle flying out of a magazine on the back cover. I created everything in here digitally, and had a blast doing it! I also had a blast figuring out who to do the "old school" coloring on the cover -- I was aiming for a 1980s feel, and I think I did a pretty good job of it. It's not a 100% match to that era, but it definitely conveys that feeling in general. I was recently discussing the great covers that used to grace books back in the 1960s & 70s. There was a raw energy to the painting style back then that seems lost to me under the slick and polished covers that grace books today. 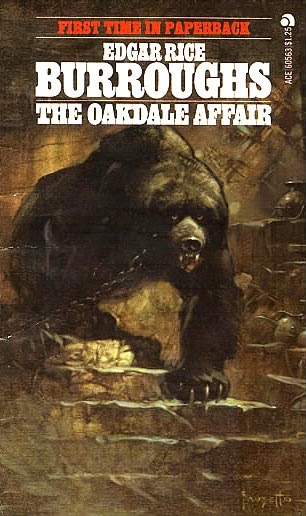 And this cover by Frank Frazetta came to mind. Now, I love Frazetta's work in general. I think he's one of the great artists of the 60s & 70s. He drew a lot of great comics and painted a lot of great book covers, including a LOT of Tarzan covers. In short, he's one of the premier fantasy cover artists of the previous century, and his work is rightly revered by many. But I hate this cover. I really do. This is a dramatic image, I won't deny that. The pose, the menace, the sense of restrained energy about to burst loose.. it's all there. Even though it's a bit dark and monochromatic, i can't argue with the artistry in this image. But I still think it's the worst cover ever. This short novel opens with a young thief stealing a girl's jewelry from a wealthy house. He then hooks up with some hobos who try to rob him, but is saved by another hobo and -- on the run -- they take refuge in a house. And then spooky stuff starts to happen: someone was murdered there years ago, they find a body in the house, and a girl is tossed out of a speeding car outside, and there are creepy noises coming from the basement. Growls and chains... oh my! Whatever could it be? I dunno? Maybe it's A BIG BROWN BEAR? And that's why I think this is the worst cover ever because it reveals the answer to the mystery that occupies about half the book. This is akin to doing a cover for Agatha Christie's "Murder on the Orient Express" and showing twelve people with knives standing over the body. And this brings to mind several times in the Silver Age (and later) when the cover art of a comic revealed something important inside the story. I'm trying to remember specifics, but I clearly recall this happening in the Avengers and the Fantastic Four, as well as in an issue of Batman (or Detective Comics). Can any of you guys think of specific examples where the cover revealed the identity of a character that the writer was trying to hide?